My daughter Ainsley picked out fabric from my stash for an apron awhile ago. We both wanted red ties, but I didn't have anything that matched and we settled on blue fabric. I was never really happy with the blue fabric and likely the reason I hadn't made the apron yet. 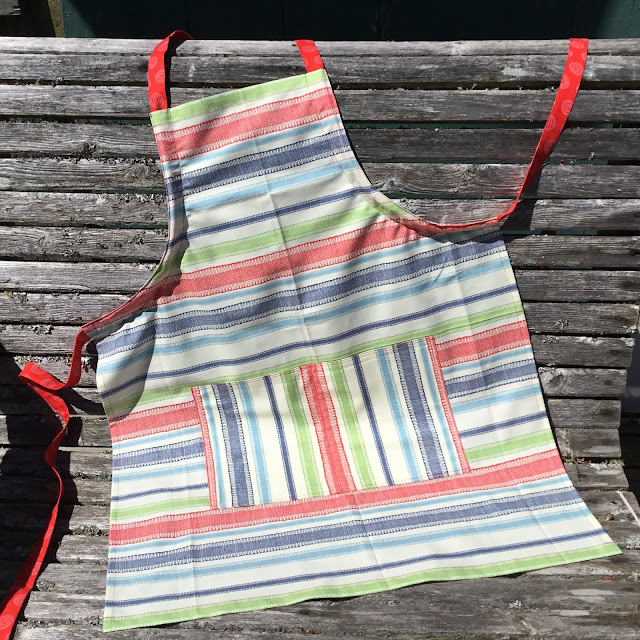 I recently bought some red fabric and made the apron today while I was skype sewing with my friend Marilyn. I really like the striped fabric as it reminds me of dish towel fabric. For contrast, I turned the fabric the opposite way on the pocket. I think this is the fourth apron I have made by drawing around an apron my mother-in-law made for me a long time ago. (30+ years!) I really like how the tie runs through facings around the armholes making the neck fully adjustable but still only needing to be tied in one place. I made the ties long enough to wrap to the front and tie if you want. 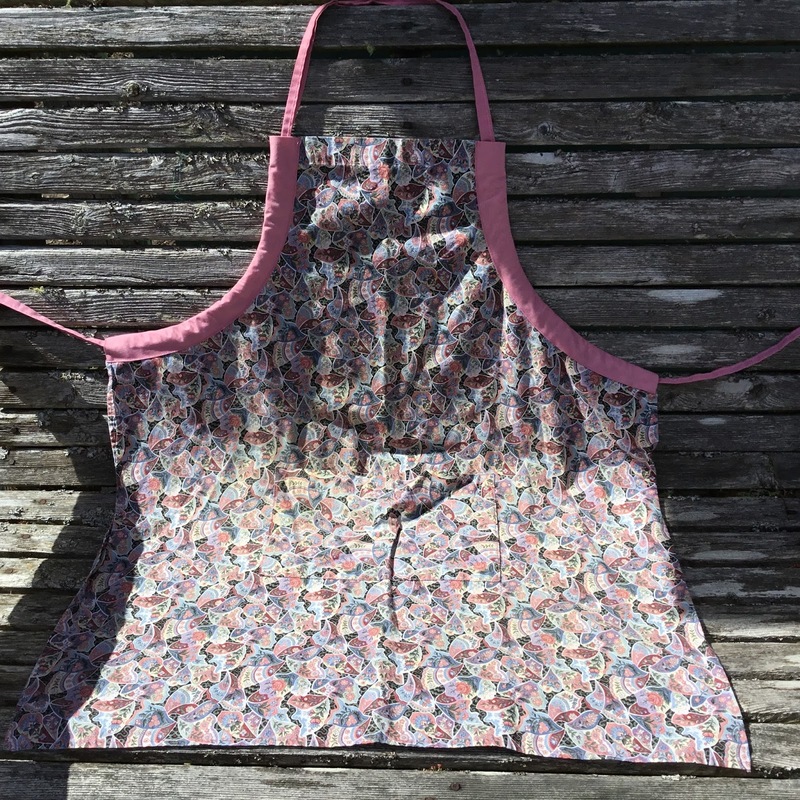 If desired, the armhole facings can be sewn on the back and pulled around to the front for a design accent which is how my MIL made the original apron for me. Today, I finally drew up a paper pattern as I am sure this is not the last time I will make an apron using this same pattern. That’s great fabric - really like a cheerful tea towel. Very nice Kathy! 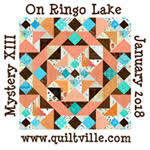 We are wrapping up our Quilting for the season with our annual Quilt show. I made a couple of quilts and some other projects as well. I really enjoy it! We'll have to get together sometime! I know we'd have lots to talk about! Wednesday was a Whopper of a Sew Day!